Patti Lucille Brady, 62, passed away on August 28, 2018 at Cornerstone in Houston/Webster following almost eight recent weeks of critical care and sixteen years dealing with extensive and complex health issues that she battled with epic grit and courage until her heart failed and she could fight no more. May she now be at rest and with light hearted joy rejoin her beloved daughter, Angela, who preceded her in untimely death. Patti was born on May 22, 1956 in Spokane, Washington to Patricia and Nick Ramos. Following high school Patti married the love of her life, Ted Brady. They moved to Houston where Patti put her feisty energy to hands-on focus helping Ted build Brady Painting into a successful business while raising their two active daughters. Patti juggled school programs, extracurricular activities, homemaking and business development projects with energy to spare in those days. Later when illness got in the way, sparks of energy, spontaneity and love were still unmistakable when she was in her favorite role of Nana to Autumn and Brady. Patti will remain forever unforgettable to those who experienced her: outspoken, inconveniently honest, impatient, indomitable, charismatically transparent, and hilariously witty. Those who knew her best and loved her most will carry the keepsake of having shared her vulnerabilities, hurts and hopes and then witnessed that combative courage, tenacity and vigor that kept her with us as long as it did. Patti is survived by her loving and devoted husband for 43 years, Ted Brady, of their home in Houston; daughter Amy Brady, Houston; granddaughter, Autumn Carroll (Ian), Milwaukee, WI; grandson PFC Brady Sutton of 75th Ranger Regiment; her mother Patricia Cool and stepfather Don Cool, Pontiac, IL; stepmother Louise Ramos, Spokane, WA; brother Ricky Keopke, Pontiac, IL; sisters Marianne Morris (Jim), Houston and Crissy Cool, Pontiac, IL; stepbrother Michael Ramos, Spokane, WA; stepsister Vicki Leavy, Spokane, WA; dear cousin Alice Wright, Dwight, IL. 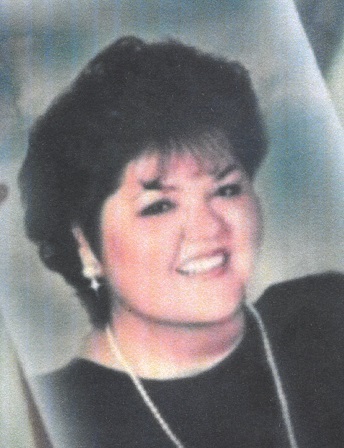 In addition to her daughter Angela Brady, Patti was preceded in death by her father Nick Ramos. Patti’s loving brother Bob Ramos (Fran), who was less than a year older than Patti, also just passed away 48 hours after Patti. A funeral is scheduled for ten o'clock in the morning on Wednesday, September 5, 2018 at Bradshaw-Carter Memorial & Funeral Services, 1734 W Alabama Street in Houston, with a reception to follow at the same location. All are invited and welcome to attend and celebrate Patti's life. A burial will be later in a private service at Glenwood Cemetery. In lieu of flowers, please send donations to American Diabetes Foundation or charity of your choice. The family would like to give special thanks to Lety Contreras for her never-ending help and friendship as well as Dr. Abdul Abdellatif for his constant help and care. Both are genuine blessings bestowed upon Patti and our family and we are eternally grateful.